Nunchi (noon-chee): ‘eye measure’; the subtle art of gauging other people’s thoughts and feelings to build harmony, trust and connection. Ever wondered about that good-not-great colleague who gets promoted ahead of everyone else? No, they’re not sleeping with the boss, they’ve just got great nunchi. Or that friend-of-a-friend you’ve just met but already instinctively like? How about the family member who seems to understand what you need before you’ve worked it out yourself? They’re nunchi ninjas, even if they don’t know it. Nunchi is the guiding principle of Korean life, considered essential for survival, happiness and success. It’s the art of instantly understanding what other people are thinking and feeling, helping you improve your relationships in life. Korean parents believe that teaching their children nunchi is as important as teaching them to cross the road safely. With great nunchi, it feels like the world is on your side. Without it, you might get hit by something you never saw coming. 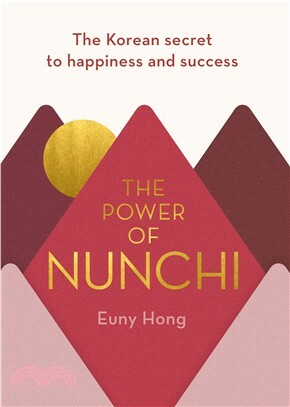 Honing your nunchi can help you find and connect with the right people in everything from love to business, make you shine at work, and reduce your social anxiety. People will take the side of a nunchi master, even when they’re not sure why. And it’s a skill you can learn no matter who you are, where you are, or where you want to go. All you need is what you already have – your eyes and ears.